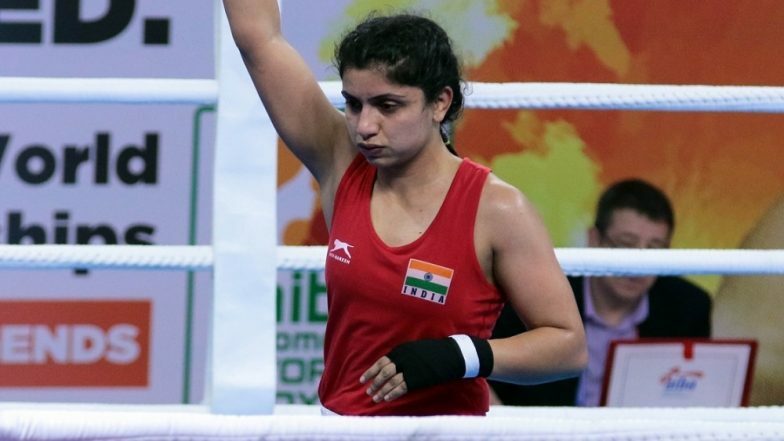 New Delhi, April 11: Commonwealth Games bronze medallist Pinki Rani (51kg) and reigning youth world champion Sakshi (57kg) assured India of its third and fourth medal by entering the semi-finals of the Cologne Boxing World Cup 2019 in Cologne, Germany, on Thursday. Continuing her impeccable form, the India Open gold medallist Rani put up yet another dominating performance to blank Thailand's Phunsang Cahiranchaya 5-0 in the quarter-final bout. The 18-year-old Sakshi won in contrasting fashion. She faced stiff resistance from Cecille Kelle of Denmark. The Indian had to dig deep to stave off the Dane's challenge before she won by a split decision on points. The Indian contingent is confirmed of at least a silver and a bronze after Meena Kumari Maisnam and Pwilao Basumatary reached the final and semi-finals in the 54kg and 64kg, respectively. With only three boxers in the fray in the 54kg category, Strandja Memorial gold medallist Maisnam was directly placed in the final. Muslim Teenager Safiyyah Syeed From Bradford Becomes First to Participate in Boxing Ring Wearing a Hijab (Watch Video). Boxing: Commonwealth Games bronze medallist Pinki Rani (51kg) and youth world champion Sakshi (57kg) assured India of two medals at the #Cologne #Boxing World Cup by entering the semifinals. Similarly, due to the 64kg category having just five pugilists, Basumatary, a bronze medallist at Strandja Memorial, is through to the semi-finals. Earlier in the day, Anjali Tushir's campaign came to an end following her 0-5 loss to Yvonne Baek Rasmussen of Denmark in the opening round of the 69kg category. India has sent a seven-member team to this European event, following a healthy haul of six medals at the erstwhile Chemistry Cup, held at Halle last year. Gaurav Solanki (52kg) and Mohammed Hussamuddin (56kg) were the only Indians to stand on the top podium in the last edition. 21 nations are taking part in 17 weight categories at this tournament and it will help elite boxers hone skills ahead of the World Championships later this year.